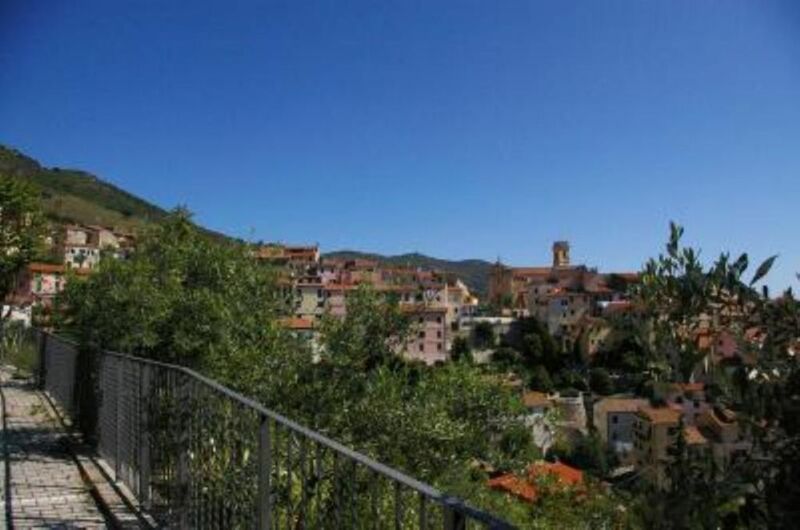 This apartment is located in a small condominium nearby the small village of Rio nell'Elba (less than 700 inhabitants). From the large terrace (approx. 15 square meters) one can have a wonderful sight over the sea up to Punta Ala and the Argentario along the coast of South Tuscany, with plentyful of sun from 7.00 am all year long. The apartment is fully furnished and equipped with dishwasher, washing machine, heating system and air conditioning. Wonderful dining possibility in the terrace (equipped with gas barbecue and table) with an amazing sight over the small village of Rio nell'Elba and the Elba Channel. The host, Gaia, was friendly and fast to reply to my messages. The apartment is well-equipped and from the balcony you have a stunning view on the small village. There is no internet in the apartment and the use of the A/C is charged additionally. We had a great time in Rio nell'Elba. Elba was bigger than expected, so I would highly recommend to get there by car. Isola d'Elba ci è piaciuta tantissimo, ogni giorno siamo andati ad una spiaggia diversa, il mare è stupendo. Le strade non sono male (tranne quella del Volterraio, per i più coraggiosi) e tutto il territorio è molto ben servito di negozi, supermercati ed altro. La casa è molto comoda e ha una vista stupenda sia sul mare che sulle montagne circostanti ed il paese di Rio nell'Elba è delizioso. Siamo stati molto bene e ringrazio la proprietaria per la sua disponibilità. Il barbecue a gas e la macchina del caffè sono stati molto apprezzati da noi, del resto la casa è provvista di tutto il necessario e in abbondanza anche! Il posto auto è un valore aggiuntivo non di poco conto. Insomma, per una famiglia come la nostra (3 figlie) è stata una soluzione perfetta. Spero davvero di ritornare l'anno prossimo ancora! Casa molto confortevole, pulita e ben accessoriata. ho soggiornato con mio marito e i miei 4 bimbi. Ottimo punto di partenza per poter raggiungere tutte le spiagge dell'Elba. Spacious, comfortable flat. Wonderful terrace where you can eat, sunbathe and admire the great view over the valley and down to the sea. Always breezy so you keep cool in the evenings. Calm area but only a short walk to the restaurants and a few shops. Supermarket a short drive away. "Alloggio conforme alle aspettative, i proprietari sono veramente gentilissimi e disponibili....lo consiglio vivamente!!! "L''appartamento è dotato di ogni confort e gode di una vista fantastica, il paese è delizioso." Drive along the A1 Italian highway from Bologna to Florence and then take the A11 highway to Pisan. Leave this highway at Pisa Nord and take the A12 south to Rosignano. Exit at Rosignano and drive some 70 km south along the "Aurelia" highway to arrive in Piombino. Once arrived in Piombino (the harbour for the ferry linking the coast of Tuscany with Isola d'Elba) there is only 45 minutes rides with the ferry that will bring you in the small harbour of Rio Marina (located les than 3 km away from the apartment). Drive 3 km up to the entrance of the village of Rio nell'Elba and you are arrived. The apartment is perfect for any one who likes a peaceful location in this small island along the coast of Tuscany. The sight from the terrace is wondefull and one can have breakfast and dinner in the terrace with a perfect seeing of the Tirrenian sea. The apartment is located within a small distance from beaches, winery tours, diving and sailing facilities and typical restaurants (Rio Marina is well known in the Isola d'Elba as the "home of the best chefs").